An extraordinary oval-shape sapphire (1-9/10 ct. t.w.) sits atop five rows of glistening round-shape diamonds (1 ct. t.w.) 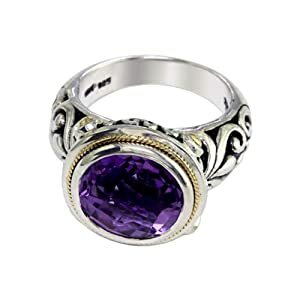 in this over-the-top statement ring designed by Effy in 14k white gold.